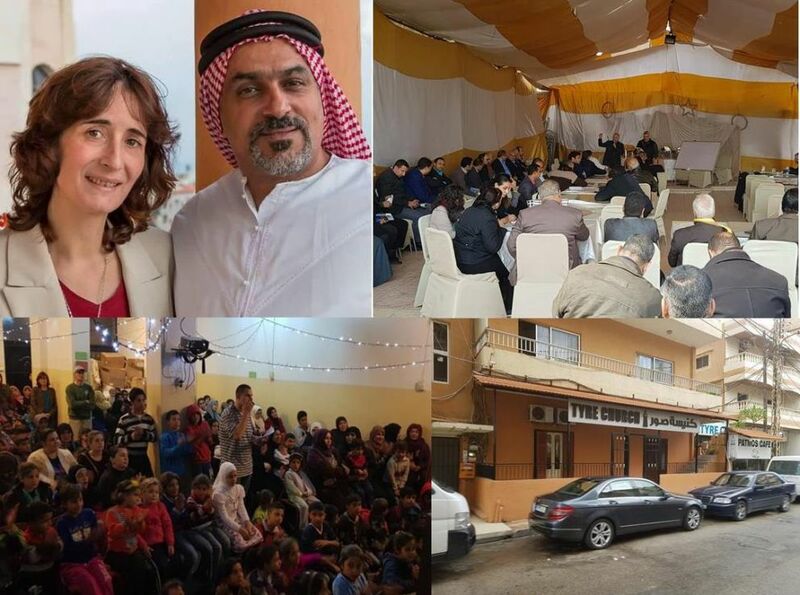 Pastor Mohammad Yamout and his family have, for the past several years, lived in the city of Tyre in South Lebanon where they have dedicated their ministry to planting a Christian church among Muslim Shiite people. Mohammad’s vision is to see local churches planted in all of the countries of the Middle East through establishing outreach centers. God is using the outreach centers established in Tyre, Tripoli & Amman in a great way among Syrian Refugees. Many are coming to know the Truth and quite few of them accept the Lord. God is blessing the work and specially among children. Mohammad was born to a Muslim Sunni family in Lebanon in 1966. He attended an Evangelical church and at the age of 14, God saved him through its Sunday School ministry; he gave his life to Jesus. His family rejected him, he had to leave his home and spend his next years working and living in a warehouse. Two attempts to kill him were made by fundamentalist groups because of his zeal in evangelizing. His local church discipled him and helped Mohammad with his education, and Mohammad graduated from Bob Jones University with a BS in Accounting. For the past seven years, he and his family have lived in the city of Tyre in South Lebanon where they have dedicated their ministry to planting a church among Muslim Shiite people and seeing them won for the Kingdom of God. Mohammad’s vision is to see local churches planted in all of the countries of the Middle East through establishing outreach centers.